Mazda MX-5 RF Running Costs, MPG, Economy, Reliability, Safety | What Car? Because the MX-5 is the only new two-seat sports car available at this price level, there’s nothing to directly rate it against. However, we’ve mentioned previously in this review that the MX-5 RF is quite a bit more expensive than the soft-top MX-5, despite only providing a small gain in refinement. As such, we’d recommend sticking with the cheaper model unless the need for a hard-top is compelling. You could also look at the Subaru BRZ and Toyota GT86. Both are more expensive than the MX-5 RF and coupés, rather than drop-tops, but they do offer four seats. Being a relatively lightweight car with pretty efficient engines should make the MX-5 RF cheap to run. We haven’t been able to run our real-world fuel economy tests on it yet, but even the 2.0-litre version is claimed to average a decent 40.9mpg (combined) under WLTP testing. PCP finance costs are likely to be tempting, too, if the soft-top version is anything to go by; it's routinely offered with enticing deals. The entry-level RF is the SE-L Nav+, and it’s our favourite. You get goodies such as climate and cruise control, LED daytime running lights and 16in alloy wheels. A comprehensive infotainment package includes a six-speaker stereo, sat-nav, Bluetooth and a DAB radio, all operated through a 7.0in screen. Go for the more powerful 2.0-litre version and you also get bigger 17in alloy wheels and a limited-slip differential. Sport Nav+ throws in extras such as heated leather seats, rear parking sensors, automatic lights and wipers and an upgraded stereo. Again, the 2.0-litre model gets even more, including larger 17in alloy wheels, sports suspension and a limited-slip differential. Being quite a bit more expensive than the SE-L Nav+ model, though, it wouldn’t be our primary choice unless you really want the sharper handling the suspension tweaks bring. 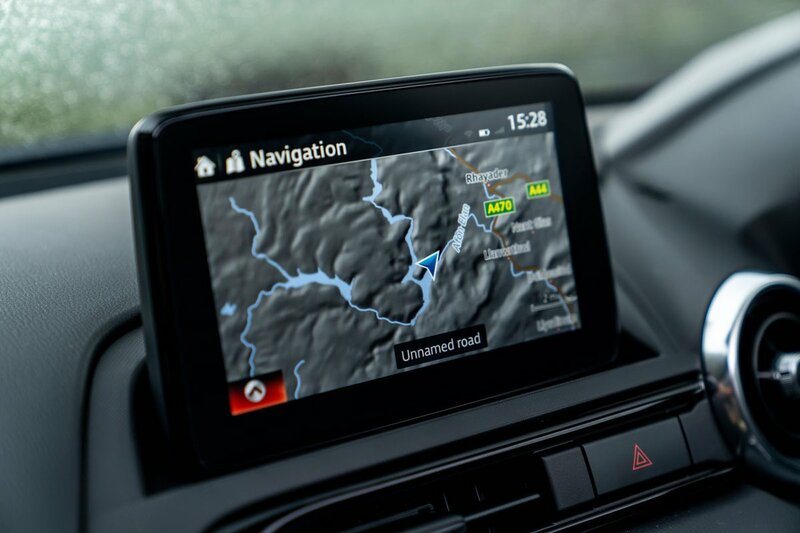 At the top of the range is GT Sport Nav+. This adds a boot spoiler, nappa leather seats, blindspot monitoring, adaptive LED lights and a rear-view camera. It's certainly well equipped, but far too pricey to recommend. 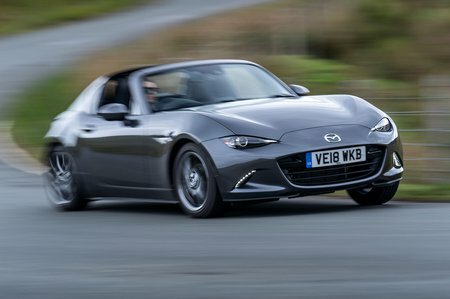 The regular MX-5 performed averagely in the 2018 What Car? Reliability Survey, where it scored three out of a total of five stars. Mazda as a brand did far better, however, coming 12th out of 31 manufacturers. Euro NCAP hasn’t crash tested the MX-5 RF, but the soft-top version gets a decent four-star rating. 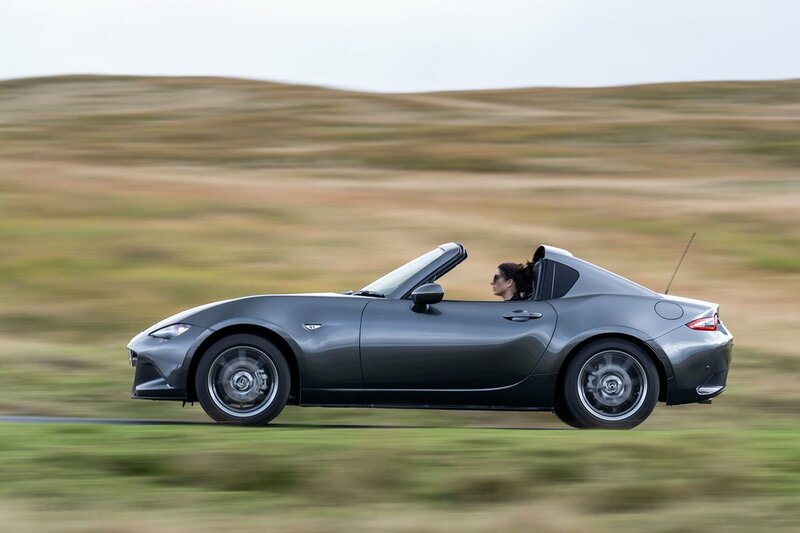 The MX-5 RF comes with stability control and four airbags as standard, along with a bonnet that springs up to help limit pedestrian injuries in an impact. There’s also an Isofix child seat-mounting point. Thanks in part to a standard alarm and engine immobiliser, Thatcham awarded the MX-5 RF its maximum five-star rating for resistance to being stolen and four stars for trickiness to break into.